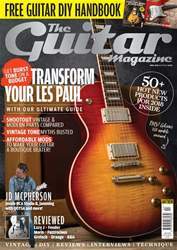 In last month’s in-depth look at the 1960 Les Paul Standard formerly owned by Doug Lock and Luther Grosvenor, we made the bold claim that anyone can enjoy something unnervingly close to vintage Les Paul tone by combining the right pickups, hardware and electronics with a suitable body. We also promised to expand on the theme and that’s precisely what follows across the next 10 pages. 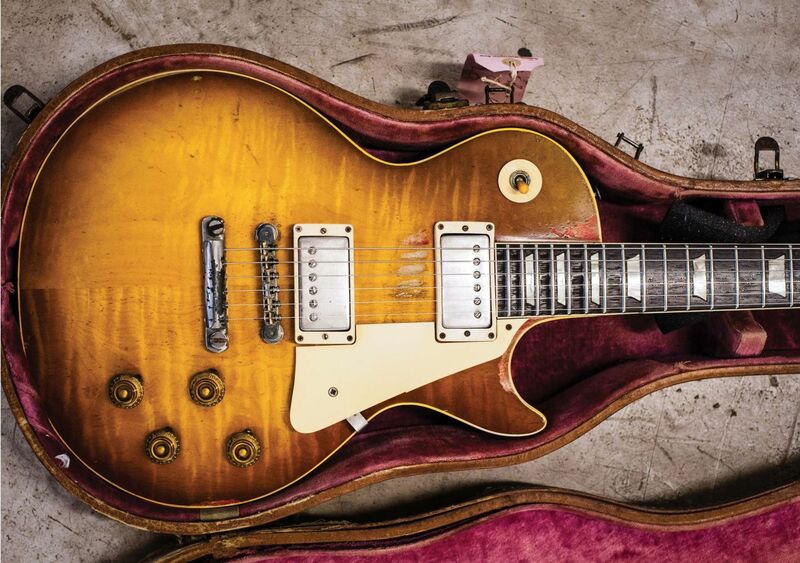 In short, armed with an original 1954 Goldtop, a Gibson Custom Collector’s Choice #26 Whitford Burst and our work-in-progress Greco Goldtop conversion (which you can read more about on p111), we’ve compiled a step-by-step guide to achieving vintage Les Paul tone without having to sell your house in the process. If you are shooting for 1950s Les Paul tone, we think that success is more likely if you consider things as a whole rather than obsess over specific details. The electric guitar is a ‘system’ and, as with all systems, individual components interact. Identifying the key components and gaining insight into how they work together is essential. Read on for an analysis of what we consider to be the key components, the way they effect tone and what your options are. 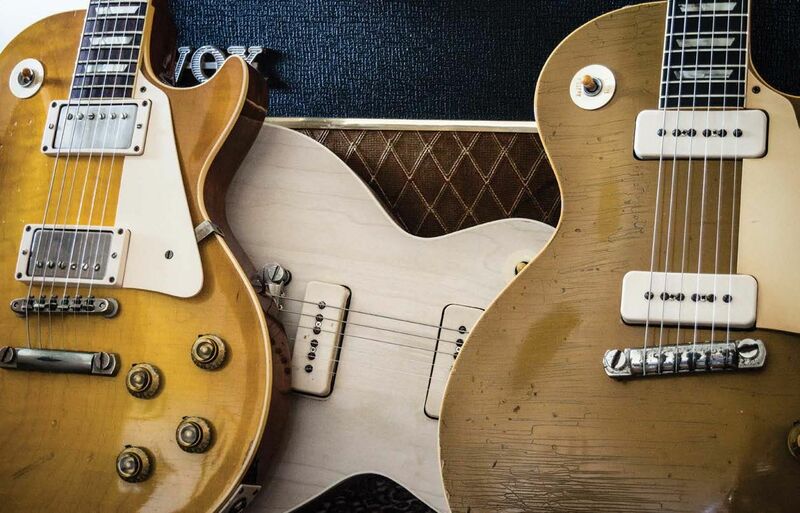 A significant proportion of vintage Les Pauls were retrofitted with Grover or Schaller machineheads at some point – many have since been converted back to Klusons. The balance of the guitar changes with heavier tuners and you may notice changes in transient attack, but it’s hardly a make or break issue. The same can be said for nylon nuts and if you do notice sonic differences compared to bone or other materials, you’ll only hear them when you play open strings. Consequently, attention focuses on bridges and tailpieces and we conduct our primary listening tests with the guitars unplugged. We’ve always found vintage Gibsons a bit softer in the treble and woodier in the mids than even the best reissues. With the electrics eliminated, these differences can only be attributed to the wood, the bridges and tailpieces or a combination of both. We test the hypothesis by swapping the original wrapover tailpiece and studs from the 1954 Goldtop onto our Greco and putting the Greco’s Faber aluminium tailpiece onto the Gibson. The strings on both guitars are identical sets of Ernie Ball Pure Nickel 0.010s.